Set to be the punk tour of the fall, SWMRS and the Interrupters have announced a co-headlining tour with support from Sharp/Shock and the Regrettes, and we couldn't be more excited. 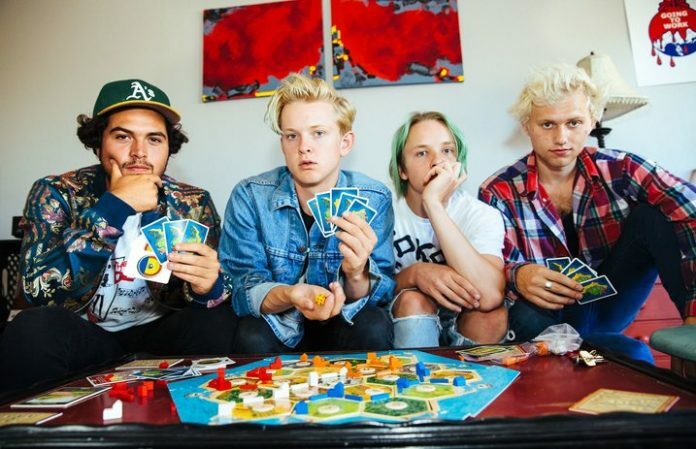 In their social media announcement, SWMRS announced that this will be the last tour in support of their 2016 album Drive North, which they are currently supporting on their tour with All Time Low. The Interrupters released their sophomore record, Say It Out Loud, in 2016 as well, touring in support of it with Green Day on the band's entire 2017 arena tour. Tickets go on sale this Friday at 8 a.m. here. Where will you be catching SWMRS and the Interrupters on tour this fall? Let us know in the comments below!